Who wants to go to Vegas? Because I’m feeling lucky. This time last year, I offered my definitive prognostications for 2018 and boldly predicted Sen. Orrin Hatch would run for another term in the Senate. The day that column ran, Hatch announced his retirement. I like to think I provided that final nudge, so you’re welcome, Utah. The rest of my predictions, however, were the best since the old Psychic Friends Hotline shut down: I had Ben McAdams winning the 4th District in a squeaker, Democrats gaining three state House seats and a Senate seat (on the nose! ), Republicans losing the U.S. House but keeping the Senate, and the Utah Jazz rallying to make the playoffs. I also predicted that Utah’s medical marijuana proposition would fail under the weight of attacks from The Church of Jesus Christ of Latter-day Saints. That wasn’t too far off. We ended up with the replacement law negotiated by the church and proponents of the initiative and, were it not for that deal, Proposition 2 would’ve likely been voted down. All-in-all, a decent showing. But predictions aren’t about the past (they would be a lot easier if they were), so here’s what Gehrke’s Crystal Ball forecasts for 2019. Throughout his political career, Dabakis has made a living throwing more bombs than Tom Brady. And while his mischievous cage-rattling hasn’t always served him well in the Republican-controlled Legislature, it has made him a favorite among some liberal Salt Lake City Democrats. 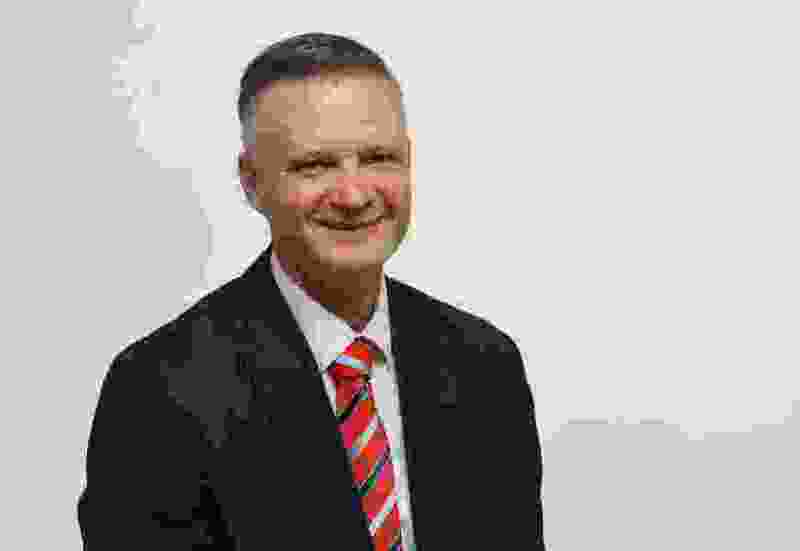 Now he has announced he is running for mayor in a field that is already filling up — the incumbent Jackie Biskupski, businessman David Ibarra, former Council Chairman Stan Penfold, former Pioneer Park Coalition Executive Director David Garbett and probably a few others will run. What Dabakis has going for him, apart from a big personality, is name recognition in a crowded field and a built-in following. It’s hard to see how that doesn’t get him through a primary, probably against Biskupski, whose tenure — aside from Salt Lake being named a bid city for the Winter Olympics — has been marked by the mayor being rolled on homeless shelters and the inland port. 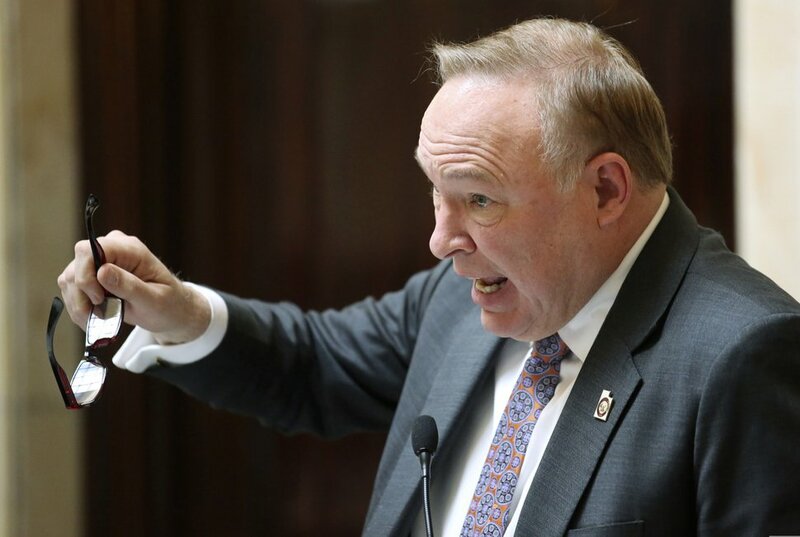 Dabakis is beatable if a candidate can rally the west side and the hundred or so remaining Salt Lake City moderates — Ibarra may be in the best position to do that. But as the race is shaping up right now, it looks like its Jim’s to lose. 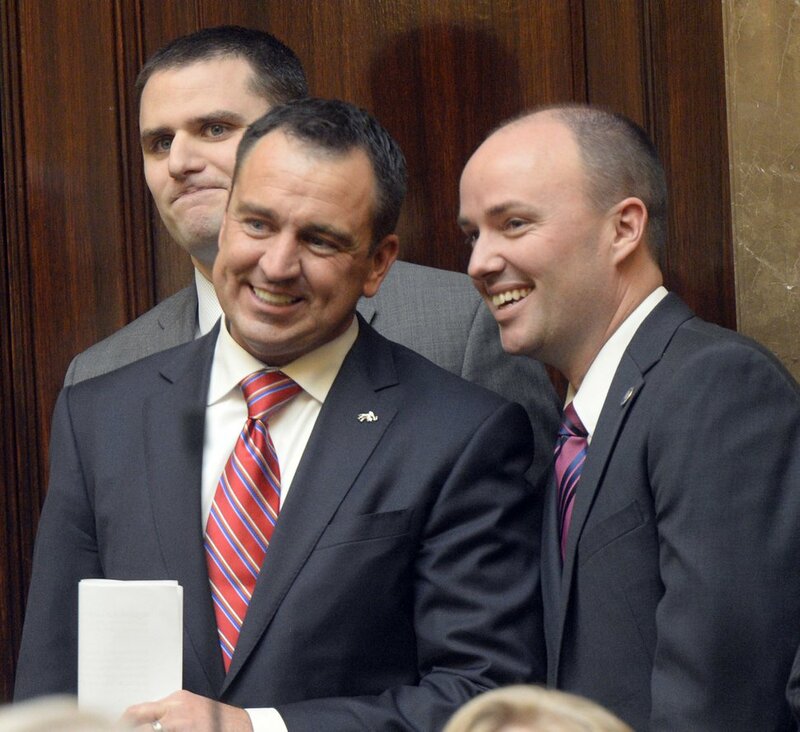 Al Hartmann | The Salt Lake Tribune Soon to become Speaker of the House Greg Hughes, left, chats with Utah Lt. Governor Spencer Cox at the back door of the House of Representatives before taking take the oath of office at the start of the 2015 legislative session Monday Jan 26. The field to replace Gov. Gary Herbert after 2020 will be one of the most crowded and experienced we’ve seen. We already know Lt. Gov. Spencer Cox is raising money, so he’s running. Look for House Speaker Greg Hughes to start fundraising within the next month or so, and to do it in a big fashion. Both of them will be flush with cash by mid-year. Greg Miller, the son of Larry and Gail Miller, will get into the race, too. Obviously he brings a lot of his own cash and deep connections to the table, but he’s new to campaigning and may have a hard time establishing his brand in a deep field. Attorney General Sean Reyes will probably run; State Auditor John Dougall may, as well. Former Rep. Jason Chaffetz will skip it. His abrupt retirement right after his last re-election still doesn’t sit well with voters and he’s got a pretty good thing going as a Fox News contributor. Chaffetz could hold off in order to take a shot at the U.S. Senate in 2022 if Sen. Mike Lee decides not to run again. By the end of the year, Cox and Hughes will distance themselves from the rest of the field and the next governor of Utah will be … revealed in my 2020 predictions this time next year. Leah Hogsten | The Salt Lake Tribune Mia Love, the former two-term republican representative from Utah's 4th Congressional District held a press conference at the Utah Republican Party headquarters, Nov. 26, 2018 to discuss her accomplishments, Washington politics, President Donald Trump and her future. Love was joined at the lecturn with her parents Mary Bourdeau and Jean Maxine Bourdeau, husband Jason, daughter Alessa and son Peyton. Don’t count on Ben McAdams getting much of a honeymoon as the new congressman from the 4th District. Despite having several factors — anti-Trump furor, huge Prop. 2-driven turnout, mail-in voting — break his way, he won by the narrowest of margins. That makes him a juicy Republican target in 2020. 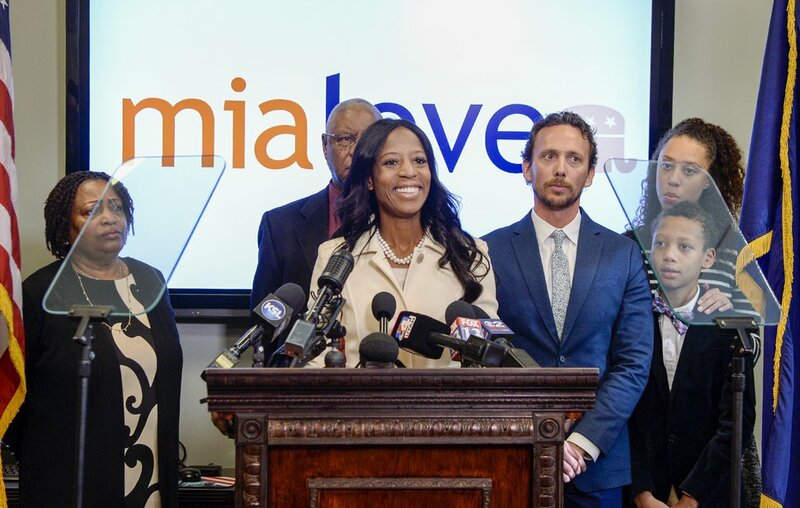 After Mia Love lost by a whisker to Jim Matheson in 2012, she was quick to make clear that she wanted a rematch — one Matheson spoiled by retiring. Love will probably take a little bit of time to heal, but her bitter “concession” speech showed there is bad blood between her and McAdams and I think she’ll want another shot. She won’t be the Republican nominee without opposition. Look for state Sen. Dan McCay and possibly state Reps. Kim Coleman or Ken Ivory to get into the race and maybe even Salt Lake County Councilwoman Aimee Winder Newton, unless she has committed to running for county mayor by then. • No matter how much Utah liberals want him to be the Senate’s new resident Trump-basher, Sen. Mitt Romney won’t rock the boat except in very, very rare circumstances. And when he does, it will come in the form of high-minded policy speeches at odds with the president rather than direct attacks. • Rep. Rob Bishop has said he doesn’t plan to run again in 2020 and he is moving from a committee chairmanship to playing defense for Republicans now in the minority. Faced with spending his final two years in legislative purgatory, he’ll find a way out. He has been mentioned as a possible replacement for Interior Secretary Ryan Zinke, but that probably won’t happen. If another juicy offer comes along, though, he will leave before his term is up. • There will be legal challenges to the voter-passed Proposition 4 and its independent redistricting commission. The Legislature won’t fiddle with it while those cases are in the courts, but still could dismantle key portions before redistricting occurs in 2021. • At the end of 2019, we’ll see a federal ruling in the lawsuits challenging Trump’s demolition of the Grand Staircase and Bears Ears national monuments. The district court judge will probably rule against the Trump administration, but it won’t matter much because it will be immediately appealed. • The Utah Jazz have had a tough schedule so far but haven’t seemed to be able to fire on all cylinders yet. Last year, when they were scuffling through the first half and dogged by injuries, I predicted they would get healthy and make the playoffs. This year, despite being healthy, they have been inconsistent and I think they miss the playoffs. I hope I’m wrong.